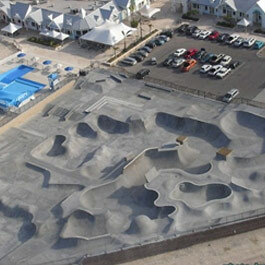 The Black Pearl Skate Park is located in the Cayman Islands. On April 23, 2005, the world’s greatest professional vert skater Tony Hawk officially opened the park. 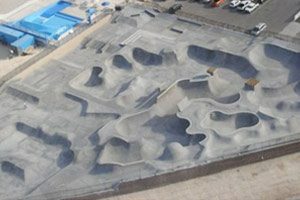 The Black Pearl Skate Park, ranked largest skate park in the Western Hemisphere.This massive park covers over 52,000 square feet and features courses for beginner, intermediate and expert skaters. It has 62,000 sq. ft. of quarter pips, half pipes, rails, stairs, and bowls making it the second largest skate park in the world. 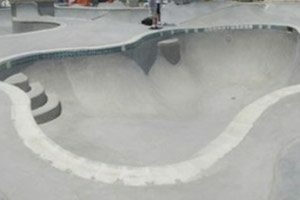 Almost all of the pro skaters have skated the Black Pearl Skate Park at least once. This park has several lines for all skill levels, making it the perfect place to skate for everyone. Then, after you are all hot and sweaty from skating so much, you can try your hand at surfing in their wave pool (the blue thing in the picture).